The amount of Omega 6’s and Omega 3’s in ZEAL is what is naturally occurring in the rice bran which is the main ingredient of ZEAL. The product is not fortified with any extra of each and the concerns over Omega 6’s being an inflammatory, many of the other ingredients in ZEAL are actually natural anti-inflammatory in of themselves and are all in proper balance. The products ingredients have been examined by three doctors (Dr. Scott VanLue, M.D. ; Dr. Richard Walker, M.D. ; Dr. James Badman, M.D.) and has been approved for use by them. We hope this helps answer your question. My doctor just retired and Im on medication. The first two weeks were good then started feeling awful on the zeal is there someone I can discuss this with online. We strongly suggest you consult your health practitioner specially if you are currently on medication. If you cannot reach him/her you may consider stopping your zeal intake until you are cleared to resume. We will send you the Doctor’s report on Zeal for Life, so your doctor can better advise you. I just heard about Zeal and joined as a consultant, but I was very disappointed to see “artificial flavor” on the Zeal Protein shakes. I will go ahead and order the natural supplement, but I would feel better about buying an all-natural whey shake from my health food store. When the protein shake is as natural as the supplement, I will buy that too. I feel like I was a bit deceived because Zeal dazzles the customer with images of fruits of the earth but we have to read the fine print. I’ll also be writing to you to urge Zeal to eliminate this artificial ingredient or offer a natural alternative. Thank you for your interest in our products and welcome to the Wellness Revolution! Zeal Wellness gets its color from beets. When it comes to the source of the ingredients, we source the raw ingredients from all over the world. These raw ingredients are shipped out to our manufacturing plant and are then mixed together with the other ingredients to make Zeal Wellness. Most of the nutrients are naturally occurring in the whole food concentrates. We do fortify Zeal Wellness with a few essential vitamins that do not occur in the raw ingredients. No preservatives are added into the Zeal Wellness formula and with the exception of the fortification of a few vitamins, Zeal Wellness is an all-natural product. In the Zeal Shakes, Mono and diglycerides are part of the flavor blends that are used to achieve the vanilla flavor and chocolate flavor. This page has been created to clearly disclose the ingredients in our products. If you feel you need more time to properly research the products and the company, you have 3 days to cancel your membership as a consultant and receive your money back. Thank you for taking the time to contact us and we wish you a continued success. Is zeal a synthetic blend? No, Zeal for Life wellness is a natural blend. To learn more, please view video above on ingredients. Also visit our “Medical Advisory Board” page for a Doctor’s report on Zeal For Life Wellness formula. I have a heart condition called Atrial fibrillation (AFIB) and I will like to purchase the Wellness Formula but it has Methylxanthine in it, which is caffeine and I can’t not consume caffeine. I’m thinking it isn’t healthy however Zeal suppose to be a natural products. May have more information on the product when it comes to health and medical issues? Zeal For Life Wellness is also available Guarana Free. You can also visit our Medical Advisory Board page for a Doctor’s report on Zeal Wellness. I am extremely anemic and I was wondering if Zeal made a product that had extra iron in it so I can get everything I need in one product instead of taking Zeal and Iron tablets. Hi! I am on day 3 of the 90 day weight management challenge! I am loving the way I feel so far. I have trouble taking pills. Is it okay to take the Burn without the capsule and cut the cleanse in half? Greetings! The best suggested way to take the burn and cleanse is as indicated on bottles. We suggest checking with your health practitioner. Wishing you a wonderful journey! Congratulations on taking the first step towards a new healthier life! I noticed that there are 1600% of Vitamin B12 and 400% of Vitamin B6 in a single serving of the Wellness formula. An intake of such a super high dose of Vitamin B12 & B6 daily doesn’t sound safe. Do you have more information on this? Zeal for life wellness is backed by a medical advisory board and if taken as directed, it is safe for consumption. Should you have any concerns please consult your health practitioner. Please print the Zeal Doctor a Report for further information. I have clicked on the doctor’s report, am able to open it, however I am not able to print it? It appears that the printing has been blocked, is there a way to fix this? Apologies. It is only available for download or sharing link via email. What is the soy content in Zeal for life? When is the best time of day to take zeal wellness. Many take zeal first thing in the morning so to start the day with vital nutrients. Hi There: Is your Zeal for Life Wellness Formula, Wildberry product gluten free. If not, do you have other products that are. I have celiacs disease and absolutely cannot consume gluten. I look forward to your response. Greetings and thank you for your interest. Our flavor “Tropic Dream” is Gluten-Free and Vegan. When are the results of Zeal’s Gluten Free testing going to be available? I was given some samples, but can’t use them until I find out if the product (Zeal for Life Wellness) is gluten free. You may wish to take our medical report to your doctor for an assessment, however only our flavor “Tropic Dream” is gluten-free & Vegan certified. Greetings and thank you for your interest in Zeal For Life Products. We urge you to consult your health practitioner and inquire if safe to take all the herbs and vitamins found in the Zeal wellness. Although the Zeal Wellness supplement is comprised of natural ingredients, we advise everyone to be sure it fits with your already existing diet and potential health condition. As you may know, while breastfeeding what we eat/consume is passed down through the milk to your baby. While Zeal wellness is a natural product, we do not know the medical history of our customers and we do not offer medical advise. To ensure your well-being and the baby’s well-being, we ALWAYS suggest you share the Zeal products with your doctor for an ok to incorporate it into your existing diet. We never want to say our products are ok not knowing your current dietary regime. It is best to be prudent and simply check with your health practitioner if ok to incorporate this to your diet. Is Zeal for Life energy drink safe for diabetics? Greetings, we always suggest sharing our Zeal Wellness Dr. Report with your doctor so he can properly assess your individual case. Since we are not aware of all you are currently taking, it is best to get your doctor’s advise. Hi, the zeal cleanse nutritional I have is 576mg and my zeal burn is 670mg am I taking the correct capsules? And can I take more than 1 of the cleanse tablet a day? It is suggested to consult with your doctor. Hi is there a report back yet on if it is Gluten Free? Thank you for getting back to us! We’ve listened and “Tropic Dream” Flavor is now available for purchase! So the current shakes are NOT Gluten Free, correct? The shakes are a powder, as you know, and perhaps you are not drinking enough water to keep your body well hydrated? We suggest however that you consult your health practitioner/ Nutritionist for an assessment. Greetings, the Zeal Wellness formula provide essential nutrients for long-term health benefits. It is packed with natural amino acids vital to your body’s ability to work and recover on its own. The Zeal Protein Shakes are packed with nutrients designed to help block carb absorption and are an excellent source of dietary fiber. It can be used as a meal replacement or add into your diet. The Zeal Wellness formula is part of the Weight Management program, however you can choose which of these to take or if weightloss is your goal, you can purchase the entire program, which also includes the Zeal Burn & Zeal Cleanse. Did we answer your question? We have not yet received an organic certification and cannot make such claim. Please see our Doctor’s report on the Zeal Wellness product. I am diabetic, is Zeal good for diabetics? Although Zeal Wellness formula was created with diabetics in mind, we strongly suggest you consult your doctor for an assessment. Please visit our nutritional fact sheet and our Medical Advisory Board links for more details. Do these products contain soy protein? Do the guarana-free products get the same results as the ones containing guarana? Do they also contain caffeine? Zeal Wellness formula does not contain soy in any way. The Guarana free formula is as effective nutritionally as the formula with Guarana. The protein shakes contain non GMO soy protein. Can I still take the single serving drink mix even if it’s one month past the expiration date? Thank you. Greetings, we cannot advise you to take expired supplements. I am interested in the potassium content of the products. The nutrition fact sheet and the bottle show 2 different numbers. Greetings and thank you for your interest. Zeal Wellness formula varies depending on the market. The label on your bottle is the accurate information. Nutrition fact sheets listed here are for USA. I saw some of this stuff being sold on amazon.com, is that allowed? I thought your business type was different. Thank you for your question! ALL Zeal Wellness products being sold on eBay, Amazon, privately owned sites and any other online means other than Zurvita’s provided marketing site, are illegally being sold and customers who purchase from these illegal sites are doing so at their own risk. 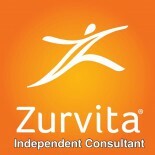 Sites like ours http://Zurvita.com/healthroads or zealforlife.com ending are the only approved, authorized and backed by Zurvita marketing sites. Is Zeal made from organic ingredients? Hi, I was considering buying the Zeal Wellness product but found the ingredient list had crystalline fructose and was deeply disappointed. That ingredient alone is a deal killer for me, without equivocation. I consume only whole, unrefined foods and that includes only consuming natural sweeteners, for example, pure maple syrup, raw honey, date sugar, and rice syrup. Crystalline fructose is made by allowing the fructose to crystallize from a fructose-enriched corn syrup, resulting in 99.5 percent pure fructose, a level twice as high as regular HFCS! Nearly all corn syrup is made from genetically modified corn, which comes with its own set of risks. Moreover, crystalline fructose may also contain arsenic, lead, chloride, and heavy metals. Please take this ingredient out. If you do, then I will become a life long customer. We thank you for your post. We use Stevia and other natural sweeteners and understand your concerns with crystalline Fructose. We DO NOT use GMO ingredients and our product is labeled as a Functional Food. Zeal Wellness’ natural cell restoring ingredients have made a tremendous positive impact in many of our customers’ health and quality of life. Can you mix the Wellness and Protein together twice a day? How effective would this be instead of drinking them separately? Thank you..
Hello! It is a matter of preference but many take Zeal wellness in the morning and shake as a meal substitute in afternoon or evening. Ok, so the Wellness is recommended once a day or twice? Once but some customers take twice. We suggest checking with your health practitioners for guidance on your nutritional needs. I have tried grape wellness drink and love it. I was needing to know on the wild berry does it contain raspberry as I am allergic to raspberry. I am wanting to try my sample of it but need to know first. Hello! Please visit the Nutritional Facts sheet for ingredients in our Zeal Wellness formula for USA/Canada. It contains cranberry powder, wild blueberry powder, grape seed extract, Gogi berry extract, açaí berry, Noni juice powder as far as fruits. Hope this helps. Thank you for sharing our page with others you think will benefit from our products! Wishing you well. We do not believe in coincidences and you have been directed here for a reason. Our Zeal Wellness product has been developed with Diabetics in mind when we put together our ingredients in our proprietary formula. Where can I find a list of ingredients in the ‘proprietary formula’? Thank you for your interest. The fact sheets provided above list ingredients in all our products. Our proprietary Process for processing the Rice Bran is part of our “Enrich” blend. Hello and thank you for your interest in our products. I asked you if this product would me with my sleep disorder. My Dr. knows that I cannot relax due to a number of problems that is why I am taking sleeping tablets. You in formed to talk to the Dr. even thought I informed you. . Zeal Wellness formula is a natural nutritional supplement designed to nourish, restore and protect your cells. If your doctor has approved the Guarana Free formula, (Guarana is a stimulant), you may want to try it for at least 30 days. We do not know if Zeal Wellness will help with your sleep disorder but it will help with your overall health and that may lead to a restful nights. I just started using Zeal tropic dream today as is my wife. She is also using Zeal wildberry with 2% caffeine for energy. I half quit coffee as my blood pressure is a high normal and I found that helps. The 2% caffeine is equivalent to how much coffee in a day. I only use decaffinated coffee if I have a coffee. I am fighting elevated blood sugar also by diet (gluten free and no manufactured sugar etc. I take 4 Garcinia Cambogia pills a day before meals as well as a green coffee bean 15 minutes before each meal. I am concerned about my blood sugar and at my age (68) my doctor says I am not bad but if it slips he can fix me up!!!!! I have never taken prescription drugs and my wife and I want to remain that way . We live in Canada . What would you suggest? We do not provide medical advice for only your personal doctor is the best person to evaluate and guide you. Garcinia Cambogia Has been know to negatively affect the liver and Zeal Wellness contains Milk Thistle which is a wonderful herb to help support your liver. Of course you already know Garcinia Cambogia helps lower blood sugar but aside from that, please seek your doctor’s advice. Thank you for your post! Our regards to your wife. The Guarana is equivalent to a cup of coffee, however we offer a Guarana free formula as well. The weight management program is headed by Peter Nielsen and you can see more details from following link at bottom. The entire package is comprised of protein shakes, zeal wellness, zeal burn and zeal cleanse, all which can be purchased separately. Why did Zurvita change the formulation for its wellness blend? Crystalline fructose is now the third ingredient. Fructose is sweeter than sucrose (table sugar) but according to Dr. Robert Lustig, is one of the most egregious components of the western diet, directly contributing to heart disease and diabetes, and associated with cancer and dementia. I realize it was part of the old formula as well but was much further down on the list of ingredients. I received no notice that the formula was changing and will likely cancel my subscription. See Fructose: The Poison Index. Robert Lustig, The Guardian October 2013. The changes were made to the labeling to comply with FDA requirements. For example, we no longer list Omega 3 or 6 because the formula contains less than 10% of the daily value, so we were required to remove it from the label. The nutritional value of our Zeal Wellness formula has remained the same. A scoop of Zeal Wellness contains 3.5 grams of crystalline fructose which is a relatively small amount. By comparison, a Coke contains 44 grams of sugar. We feel that crystalline fructose is a very effective and safe ingredient used in Zeal Wellness. The other advantage of crystalline fructose is that it has a very low glycemic index which may explain why so many people with blood sugar problems seem to get good results with Zeal. Is zeal for life is safe for diabetic, high blood preassure and high cholesterol. Although Zeal Wellness was formulated with Diabetics in mind and has had positive feedback from those suffering from HBP, we cannot advise you if incorporating it to your diet is suggested or not, therefore we suggest consulting with your medical professional who can better determine if our products should be taken or not. The ok should be based on each individual’s needs and medical condition.